This recruitment is being conducted to fill one vacancy in the Public Health Services WIC Program and to establish an eligible list to fill future vacancies. Resumes will not be accepted in lieu of an application. A completed application must be postmarked or received online by the final filing deadline.  The WIC Program of San Joaquin County has an exciting opportunity for a certified lactation consultant to join the staff as a full-time Lactation Specialist. The Lactation Specialist services as the International Board Certified Lactation Consultant (IBCLC) for the USDA WIC Breastfeeding Peer Counseling Program, provides specialized breastfeeding support to WIC participants, and provides direction and guidance to WIC Peer Counselors. This position will work on the Regional Breastfeeding Liaison Project, connecting WIC's breastfeeding services to hospitals and other community services, as well as providing a seamless support network for the breastfeeding WIC mother. Previous WIC or healthcare experience is desirable. Pre-Employment Drug Screening: Potential new hires into this classification are required to successfully pass a pre-employment drug screen as a condition of employment. Final appointment cannot be made until the eligible has passed the drug screen. The County pays for the initial drug screen. Conducts assessments of mothers and infants at high risk for breastfeeding complications and provides counseling to WIC clients, either in person or over the phone; determines physical or other impediments to successful breastfeeding. Develops a care plan and conducts follow up assessments, including monitoring weight and health of the baby to ensure that both mother and baby are healthy; documents assessments and notes case progress in the case file; when necessary, refers mothers to qualified medical professionals. Serves as a lead worker by assigning and monitoring the work of subordinate Breastfeeding Counselors and/or other WIC staff; ensures that staff are properly trained and are providing accurate breastfeeding information to clients; may provide input on employee performance; may assist with the selection of new employees. Conducts in-service instruction for program staff, interns, volunteers and others regarding the appropriate delivery of breastfeeding services. Assists the Program Coordinator in monitoring and evaluating program and service delivery to ensure compliance with State requirements; assists in the formulation of program goals, objectives, policies and procedures. Maintains an advanced knowledge base in the area of breastfeeding; serves as an expert technical resource to guide program, community and support staff. Participates in the development and evaluation of breastfeeding promotion and education services; provides breastfeeding education to clients, both one-on-one and in group settings, to discuss the advantages of breastfeeding, educate mothers on medical or other problems that might be encountered during nursing, and explain the nutritional needs of nursing women and babies. May assist the Program Coordinator with the development of grant proposals and other administrative projects. Licenses and Certificates: Current certification as a Lactation Consultant by the International Board of Lactation Consultant Examiners; and possession of a valid California driver’s license. Knowledge of: Current principles and practices of breastfeeding counseling, lactation management; and the benefits of breastfeeding; the nutritional needs of infants and nursing women; breast feeding problems and solutions; office administrative principles and practices, including the use of computers in a clinical setting; effective communication skills. Ability to: Assess clients to identify their breastfeeding risks; counsel and advise clients on a wide variety of breastfeeding practices and topics; help clients resolve breastfeeding problems; provide guidance to other program staff; exercise patience and tact while interacting with staff, clients and the general public. Physical/Mental Requirements: Mobility - Frequent sitting for long periods of time; occasional standing for long periods of time; occasional driving of a vehicle. Frequency of Lifting - Occasional lifting of 5 to 30 lbs. Visual Requirements - Constant need for overall vision and close up work; frequent need for hand/eye coordination; occasional use of color perception, depth perception and field of vision/peripheral vision. Dexterity - Frequent holding, repetitive motion and writing; occasional reaching and grasping. Hearing/Talking - Constant haring of normal speech, hearing on the telephone/radio and talking on the telephone; frequent hearing of faint sounds; frequent talking in person. Emotional/Psychological Factors - Constant public contact; frequent decision making, concentration; occasional working alone, traveling, exposure to emergency situations, trauma, grief and death. Special Requirements – may work varied shifts, including weekends, holidays and extended schedules, due to emergencies; Environmental Conditions – frequent exposure to varied weather conditions. 125 Flexible Benefits Plan: This is a voluntary program that allows employees to use pre-tax dollars to pay for health-related expenses that are not paid by a medical, dental or vision plan (Health Flexible Spending Account $2550 annual limit); and dependent care costs (Dependent Care Assistance Plan $5000 annual limit). Deferred Compensation: The County maintains a deferred compensation plan under Section 457 of the IRS code. You may annually contribute $18,000 or 100% of your includible compensation, whichever is less. Individuals age 50 or older may contribute to their plan, up to $24,000. Holiday: For Civil Service employees hired before 12/7/2011: 14 paid holidays per year. For employees after 12/7/11: 10 paid holidays per year. Flexible Holidays: Effective July 1, 2017, for employees on or after 12/7/11, four flexible holidays each fiscal year. Hours accrued must be used prior to the end of each fiscal year. Merit Salary Increase: New employees will receive the starting salary, which is the first step of the salary range. After employees serve 26 pay periods(2080 hours) on each step of the range, they are eligible for a merit increase to the next step.